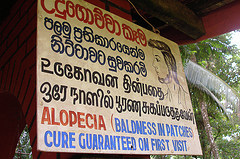 Hair loss otherwise known as alopecia affects mostly everyone. It occurs on the head causing baldness. There are many types of hair loss. some are permanent while others are only temporarly and reversible. #1 Infections: infections can cause hair loss. They are easily treated with medicines. #2 Hormones: For men baldness is usually caused by hormones. #3 Hair loss may be cuased by an overactive or under-active thyroid gland. #4 in women Changes in androgen and estrogen levels can cause hair loss. Hormone or Steroid injections are usually given to correct this hormonal imbalance. #5 Illness: Prolonged illness, major surgery and stress can result in hair loss in large amounts. Temporary illnesses generally do not cause hair loss. Hair loss may also occur due to disease. #6 Pregnancy: Hair loss in women may occur after child birth. This is because of high level of hormonal changes during and after pregnancy. This type of hair loss is self correcting and new hair usually grow back. #7 Medicines: Some medicines can cause hair loss such as anticoagulants used for treatment of gout, chemotherapy used to treat cancer, over consumption of vitamin A, antidepressant medicines, and birth control pills. #8 Diet: Your diet also plays a role in hair loss. Eating enough healthy nutrients will keep your hair healthy and full. . Supplementing with a good multivitamin is essential to maintaining a healthy head of hair. #9 Smoking: I know you have heard everything is attributed to smoking, well hair loss can also be added to that list. Smoking causes the blood vessels in your body to shrink. This restricts the amount of blood that gets to you hair. Without adequate blood flow some hair will die. #10 Stress: Major traumatic events and even built up stress over time can have an impact on hair retention and growth. Reducing stress or getting through trauma can assist in hair re growth.